A social drama, The Divorcee examines temptation and the double standards set for men and women. A group of New York-based friends frequently socialize together. 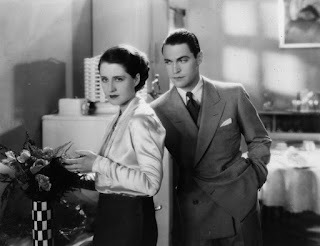 Jerry (Norma Shearer) accepts a marriage proposal from Ted (Chester Morris), breaking the heart of Paul (Conrad Nagel), who very much had his sights set on Jerry. Despondent, Paul gets drunk and causes a car crash resulting in facial injuries to Dorothy (Helen Johnson). Jerry and Ted get married and seem to have an idyllic union. But on their third anniversary, Jerry discovers that Ted has had a fling with Janice (Mary Doran). Emotionally crushed, Jerry is tempted to stray with Don (Robert Montgomery), who is Ted's best friend. Divorce follows, and Jerry lives the single carefree life. Meanwhile Paul has married Dorothy out of guilt, but has not yet given up on winning back Jerry's heart. Directed by Robert Z. Leonard and based on the book Ex-Wife by Ursula Parrott, The Divorcee showcases relationship dynamics among society's elites. With remarkable honesty, the film explores themes of monogamy, betrayal and the quest for happiness as a couple. Both the men and the women are seeking elusive romantic bliss, but the film is most interested in how the same behavior is perceived through different gender lenses. At the heart of the film is a deep and genuine love between the vivacious and confident Jerry and Ted. After learning of his drunken affair she seeks to redress the balance with her own dalliance. But what she sees as a neutralization of the score he perceives as an insurmountable betrayal and cause for divorce. Jerry then tries her hand at the unattached lifestyle, and finds herself dangerously close to wrecking another marriage, this time the loveless union between Paul and Dorothy. The Divorcee deserves credit for sequentially placing Jerry in the position of being single, then married, then as a disruptor, and in a mostly non-judgemental context. 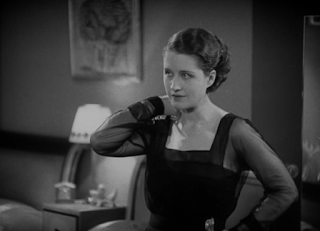 Norma Shearer fought for the role to break away from her docile image, and nabbed the Best Actress Academy Award for a multi-faceted performance. While Jerry commands the film as a compelling character as she navigates the ups and downs of her love life, the rest of the characters remain rather shallow. The men in particular are one dimensional and not helped by a rather listless cast. Overall the performances are overemotive, with many of the cast members veterans of the silent era. The route may be convoluted, but The Divorcee is a woman determined to find her perfect match, on her own terms. This movie made me a Norma Shearer fan. She is terrific in this one, and essentially carries the film.